Just because it's a baby shower doesn't mean that she should be the only guest of honor in attendance! A couple's shower can be a wonderful way for the expectant parents to share in the celebration-especially since they may not have much time to socialize with friends after their little one is born. Here are the A-Z tips for hosting a co-ed shower before they begin singing their ABC's to the new baby. Since she is the one who is pregnant, you want to first make sure that the idea of a co-ed shower appeals to her. Once she gives you the go-ahead, check in with the DTB (Dad-to-be) to confirm that he does in-fact want to be there. Let him know that you'll keep the frill to a minimum, and ask for his input in both planning the party and recruiting his friends. The DTB should be up-to-speed on all of the pertinent shower info (that includes the when, the where, and the shower registries). Consult with both parents-to-be when creating the guest list, and make sure to choose an invitation that is gender neutral. We recommend using the word "celebration" instead of "shower," since the latter conjures up an image of pink punch and girl talk. Include both expectant parents as your guests of honor on the invite, and spell out the fact that this is a party for men and women alike. 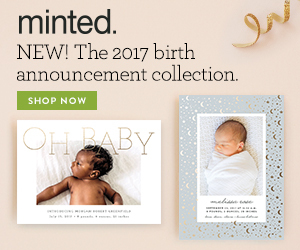 Highlight the fact that the celebration is intended to help them prepare for the new baby, and be sure to include registry information. When addressing the invites to other couples, be sure to put both names on the outside of the envelope. Worry less about entertainment, and think of the food as the main event. Cucumber and cream cheese tea sandwiches aren't going to cut it at this shower. The food should be hearty and appeal to the masses. Everyone loves a barbecue, and it often requires less planning than traditional showers. The guys can gather around the grill while the girls catch up with one another. A Mexican fiesta is also a hit-especially if you include a fully stocked make-you-own taco bar. If you are having the event catered, consider soul food or Caribbean fare. And make sure that you have more than enough food on hand-those guys have a big appetite! Play games at your own risk. Baby Bottle Drinking Contest – Guests compete to see who can quickly guzzle down beer (or any other beverage) through a baby bottle. Diaper Relay Race – Guests compete to see who can pin a cloth diaper on a flour bag or doll. Diaper Raffle – Offer a raffle ticket to anyone who brings a bag of diapers to the party—then raffle off a very cool prize! Just because the expectant mom can't drink doesn't mean you should leave out the alcohol. Have a cooler of beer on hand, or consider creating a signature drink just for the occasion (you can make it non-alcoholic for the Mom-to-be). If you do play games, they may be more fun after a drink or two. Encourage guests to bring gifts for the couple that they need for the little one, as well as some things to specifically honor the expectant dad. Child-friendly sporting equipment or sports paraphernalia might be a great option, as well as items that will encourage the family to go hiking or camping together. Gift certificates for movie rentals or food delivery would certainly be welcome during their first months with the little one. Unusual or humorous gifts should also be encouraged. The bottom line is that you should consider the DTB's hobbies and interests as well as the expectant Mom's. And make sure that both parents take turns when opening the gifts! Don't forget to send your guests home with something nice to thank them for coming. Make sure that favors are gender neutral as well. Edible favors like personalized candy bars, brownie favor pops, or custom cookies are always a welcome treat. Or, you might make a mix CD with some of the expectant couple's favorite music on it and a personalized CD label. Gift cards or movie tickets could also be great when presented in practical, monogrammed card holders.